Tell Congress to extend unemployment benefits now! 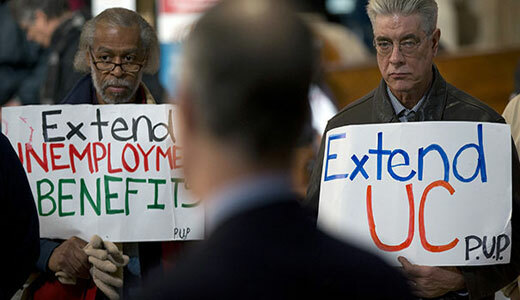 When Congress passed a compromise budget this week, the long-term unemployed were left out in the cold. The devastating Republican holiday gift for 1.3 million families is an end to emergency unemployment compensation on December 28. However, Social Security, Medicare, and Medicaid were spared. 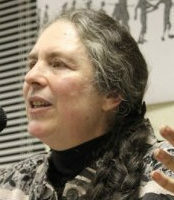 The voices of millions of people warning Congress to make cuts at their own peril won the day. The best gift that we in the 99 percent can give to unemployed family, friends and neighbors is a resounding message demanding that Congress take immediate action to extend emergency unemployment benefits. In addition to the 1.3 million who will be immediately cut off, an additional 3.6 million people will lose benefits in the coming year unless Congress acts. While the budget compromise averted a government shutdown and restored some of the human needs cuts made under the sequester, the positive impact on the economy will be canceled out if unemployment is not extended. PSN also provides information about the growing economic crisis in North Carolina, the only state that cut emergency benefits earlier this year. “We started cutting too deeply years ago, and we’ve just been cutting more ever since,” said Rep. Raul Grijalva, co-chair of the Congressional Progressive Caucus, calling for an end to “austerity economics,” which has sacrificed the needs of people for massive tax cuts to big corporations and the wealthy along with bloated military spending. The compromise budget left all the tax breaks and loopholes for Wall St. and the super rich intact. This fight to end inequality is shaping the battles ahead for 2014. Already, tea party Republicans are threatening to demand new cuts when the debt ceiling is reached in February. There is danger of a new attack on Social Security and Medicare. The cuts to SNAP (food stamps) made on November 1 have not been restored and could become bigger leaving children and families without basic nutrition. Millions of families are stranded as housing and heating assistance runs out. Members of Congress need a storm of calls and messages while they are home for the holidays demanding an immediate restoration of unemployment insurance and restoration of cuts to food stamps. As well, Congress should completely repeal the sequester, and fully fund the country’s real needs like decaying infrastructure, renewable energy, housing, and essential services like education, scientific research, and public safety and expand Social Security, Medicare and Medicaid. Your holiday message to Congress may be the best gift you give! To find your members of Congress click here for your Representative and here for your Senators.